Hypsometric maps are surface maps with that show relief. Third dimensional information is represented and it may be color and shaping, contour lines, or raised relief. 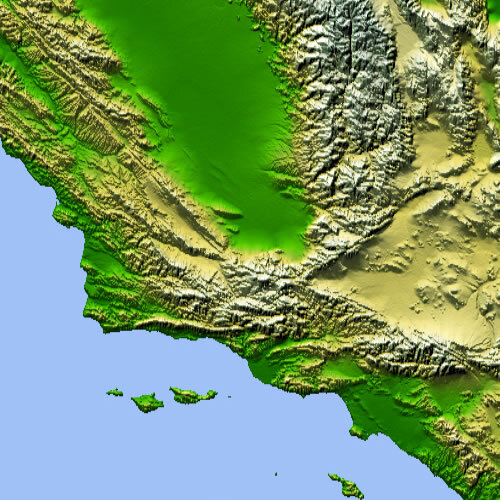 In this map of southern California, relief is shown in order to see the difference in elevation. The green colors are where the land has the smallest elevation, or is flat. The lighter colors on the map show that there is a change in elevation as one would travel inside the state more. Hypsometric maps don't have to show relief; it can be any other process that superimposes on the surface. In this case, it is elevation relief that is shown.